Learning to Talk has never been so much fun! 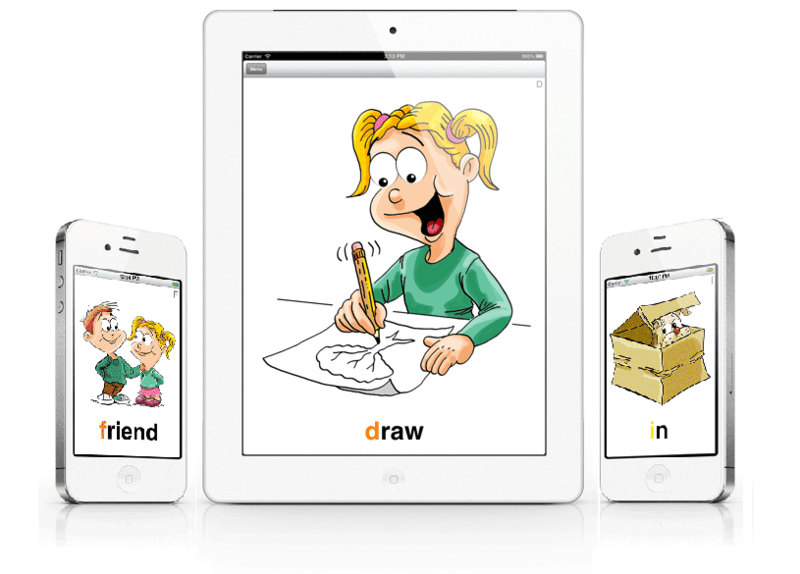 Learn to Talk are innovative flash card applications for toddlers on iPhone, iPad and iPod Touch. Using both sight and sounds, they teach your toddler basic vocabulary words and boost their language skills. Developed in collaboration with speech language therapists; Learn to Talk apps teach children the main words they need to learn as they start engaging and communicating in the world. Intuitive: For each lesson, your little one simply needs to swipe with her/his fingers to the left for the next card to appear or swipe to the right to go back one. As she/he flips through the cards, your child listens and repeats the words. Engaging: Highly interactive, colorful flash cards engage and motivate children to learn by themselves. Effective: Whether you’re at home, in the car, on an airplane or in a grocery store, these unique flash cards keep your kids engaged, entertained and bring hours of enjoyment and educational benefits. Universal app runs on iPad, iPhone and iPod Touch. Acquire basic words, including objects, actors and actions. Continue expanding vocabulary with more complex one and two word actions. Explore more: download the apps in the App Store or contact us.